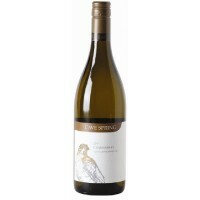 The winemaking team at Cave Spring has a remarkably consistent track record and shows no signs of letting up. The newly released 2016 Chardonnay is deliciously drinkable and great value to boot. It’s a mix of Chardonnay and the more aromatic Chardonnay Musque with a small portion fermented and aged in oak barrels for greater complexity and texture. The refreshing character means it’ll work with a wide range of dishes, especially ones with a cream or cheese sauce. Recommended.